Hank Bessembinder is the Jon M. Huntsman Visiting Presidential Scholar in the Huntsman School of Business. 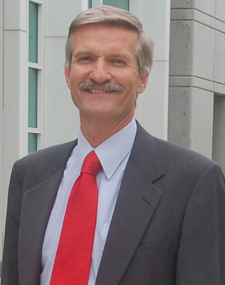 He is also the A. Blaine Huntsman Chaired Presidential Professor of Finance at the David Eccles School of Business at the University of Utah. Professor Bessembinder has held faculty positions at the Goizueta Business School at Emory University, the Carey School of Business at Arizona State University, and the Simon Graduate School of Business at the University of Rochester. Dr. Bessembinder received his Ph.D. from the Foster School of Business at the University of Washington and is an alum of the Huntsman School having graduated with a Bachelors degree in Business at Utah State University. Professor Bessembinder’s research has been published in the top finance journals including the Journal of Finance, the Journal of Financial Economics, the Review of Financial Studies, and the Journal of Financial and Quantitative Analysis. He is currently the Managing Editor of the Journal of Financial and Quantitative Analysis. He also holds editorial positions at the Journal of Finance, the Journal of Financial Economics, and the Journal of Financial Markets. Recently, Professor Bessembinder was ranked one of the most prolific authors in the top seven finance journals during the last 50 years.